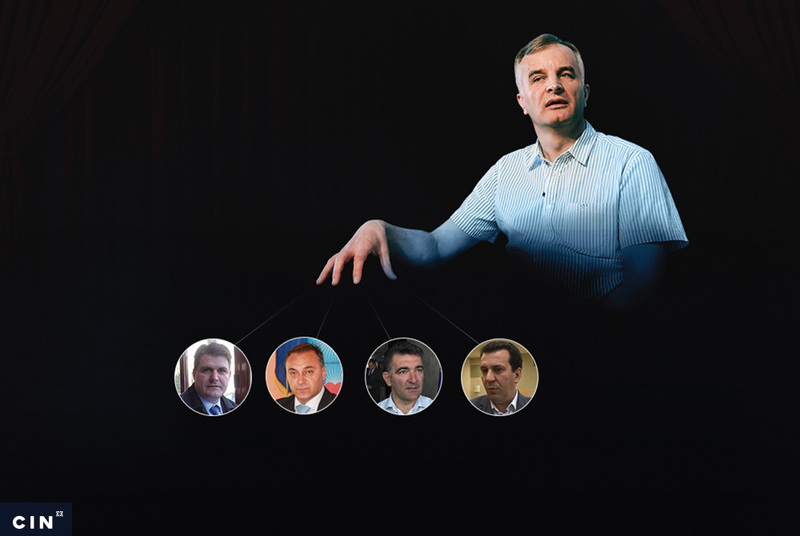 Companies owned by the Lijanovićs family have not paid over several years for electricity, incurring a debt of 1 million KM. 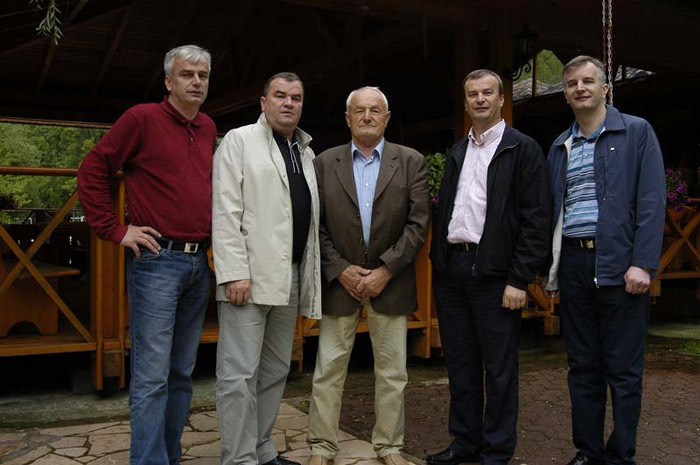 They stopped paying their bills when Jerko Ivanković Lijanović became a member of the FBiH government and his former employees were appointed as department headss in the local power utility company. The family of Ivan Grbešić nearly lost electricity this summer when he was sacked from Široki Brijeg and bills for 226 KM went unpaid. The Croat controlled power utility (EPHZHB) in Mostar sent a warning that if he didn’t pay up, the lights would go dark. He had no choice but to take out a loan. The same public company that threatened the Grbešićs with blackout, however, has supplied his former employer – the Ivanković Lijanović family – with electricity for four and a half years for its meat processing plant in Visoka Glavica, despite unpaid bills of 1 million KM. The Lijanovićis stopped paying power bills in March 2011 when Jerko Ivanković Lijanović became a member of the cabinet of the Federation of Bosnia and Herzegovina (FBiH) government which owns the utility company. The government hired two of Lijanovićevis close aids as directors of supply of electrical energy and distribution of electrical energy in EPHZHB. This widened the family’s influence over management of the utility. 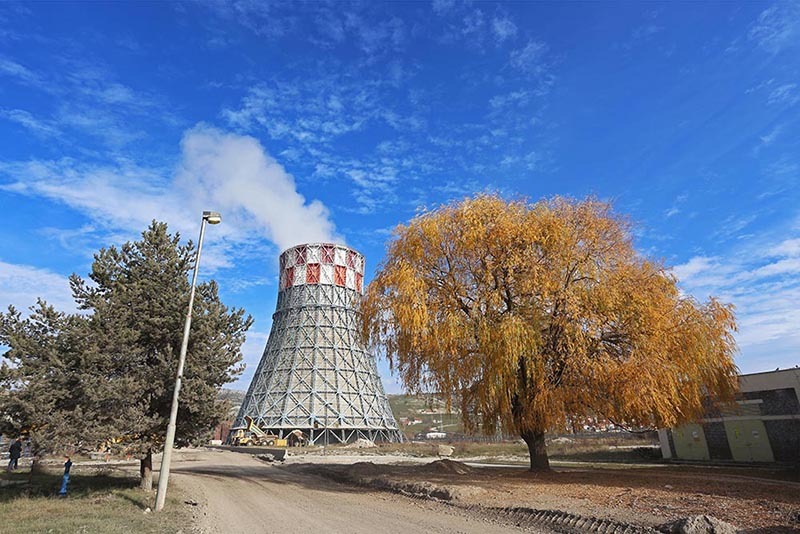 The Visoka Glavica plant was never cut off from the grid, despite utility rules that demand after two unpaid bills. The family started paying for electricity more regularly from the spring of 2013 after paperwork on the debt fell into the hands of inspectors from the iFBiH Financial Police. However, the debt incurred up to then remains unpaid. According to an anonymous complaint that prompted police investigation of the utility, the public company planned to simply write it off. While this has not been done, the family has profited nevertheless. The Center for Investigative Reporting in Sarajevo (CIN) has obtained records showing that the utility will hardly be able to collect what’s owned to it because the debtors are firms connected to the Lijanovićs which have folded in the meantime – without assets or money to be seized. 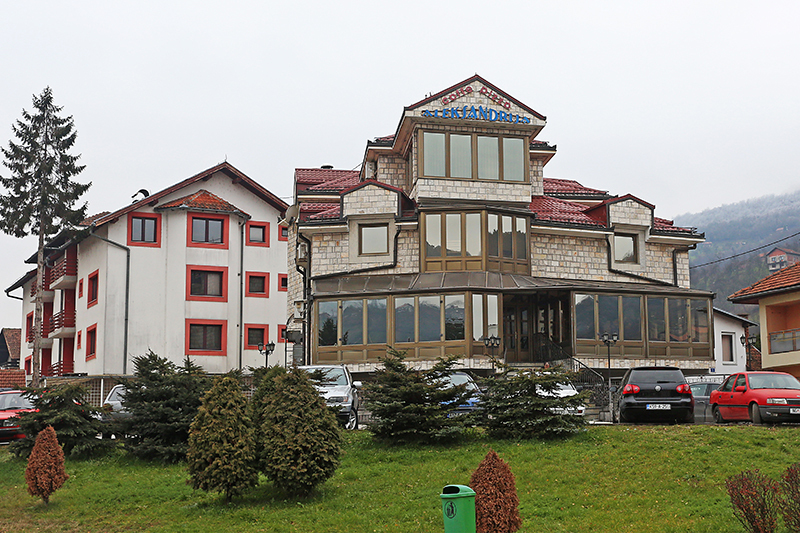 The meat plant in Visoka Glavica belongs to the company owned by brothers Jerko and Slavo Ivanković Lijanović. “You go to bed in one and wake up in another firm,” said Grbešić who was the head of packing in Farmko and ZD. I. Product. He went a year without pay then was sacked last year. In such a transfer at the beginning of 2011, The Lijanovići breached a renting contract with Farmko and started renting to ZD. I. Product whose nominal owner is Zdravko Ivanković. The latter firm received the license for meat products with the facilities and workers. Even though others have used the factory hall for years, the Lijanovići firm was obligated to pay the utility bills. However, it stopped paying at the beginning of 2011 which led to a debt of 280,000 KM. In July of 2011, after six months of non-payment, the firm transferred the onus of payments to ZD. I. Product. Directors Slavo Ivanković Lijanović and Zdravko Ivanković signed a contract that said the earlier debt had been paid off. Still, in order to make sure it would get paid, the utility signed a contract with ZD. I. Product with which it obliged the latter firm to jointly pay back the debt with the Lijanovićis. That never happened. ZD. I. Product incurred additional debt over more than two years even though it made enough profit to pay the utility bills during this period. The longer break in payment followed when Jerko Ivanković Lijanović joined the FBiH cabinet in November 2011 as vice-president. The government appointed temporary management over the utility. The new acting director of the Power Supply Department, in charge of collecting payments, was Miroslav Prusina, a former ZD. I. Product employee. Another former Lijanović’s employee Miroslav Galić was appointed head of Power Distribution Department in charge of shutting off power to non-payers. After six months in office, both rejected offers to become fully fledged members of the management with the excuse that it was too stressful for them. Prusina was transferred to the post of chief of the South Supply Area that covers Široki Brijeg, while Galić became a manager in the office of the director of the Distribution Department. Prusina told CIN that during his term ZD. I. Product started paying the bills. However, according to the records obtained by the Financial Police, only one bill from 2011 was partly paid, while others due had not been paid and the debt increased another 344,000 KM. In May 2012, Robert Majić was appointed head of supply while Damir Leko, another former manager from Lijanovići, was appointed the head of distribution. A year later, Leko died and Galić temporarily took up his duties. In August this year as the end of the term of the former management neared, the debt of ZD. I. Product and Lijanovići came close to 900,000 KM. If default interest rates are added, this amount could be 1.1 million KM or more. For four years, the supply department sent pro-forma warnings to Lijanovići and ZD. I. Product. When the bills went unpaid despite those warnings, the distribution department was ordered to shut off the facilities in Visoka Glavica. According to available records, 19 orders to shut off Lijanovićs’ facilities from the grid went into the department and not one was acted upon. Prusina said that he sent orders and the distribution’s former director Galić said that he did everything to shut off the facility. “You see, it’s an unusual substation. It is not easy to shut it off. Major work is needed to do this,” he said. The substation that supplies factories is in the Lijanovićs’ ownership and within the factory’s fence, which means that the distributor’s operators cannot approach it without the owner’s consent, say the power utility’s managers. Grbešić says that he used to see the power utility’s workers on the factory premises, but the factory never went dark. “I don’t know how can they not give it? How would it be if they came to me? How can I not give them access to a meter?” wondered Grbešić. Igor Glibić, head of the Tariff Department at the Regulatory Commission for Energy in FBiH (FERK), said that it was possible to shut off non-payers in many ways from the grid. One is to shut off power from the transmission line by the substation. The Power Utility officials say that this was not possible without also shutting off other users. They contend that the problem could have been solved by investing up to 70,000 KM in technical changes to the grid. They also said that the former management did not ask police for help to shut off the factory though they could have. On Oct 9, the police were finally called in, though again, operators for the distribution department could not enter the factory’s premises. 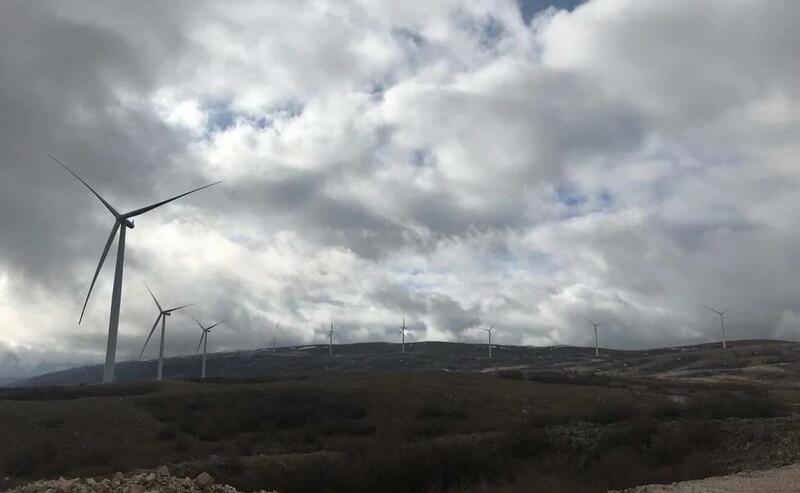 The police wrote a report which the power utility has attached with its request to be given access to the factory and sent it to the Municipal Court in Široki Brijeg, according to the new management of the power utility. The old utility’s management team of Lijanovićis loyalists inherited 41 million KM in unpaid bills from public institutions and private firms at the outset of its term. At the end the combined sum was 4 million KM bigger. Financial Police found that the utility has filed criminal reports for nonpayment against public health institutions and utility companies, including hospitals, clinics and Waterworks Company who are all major debtors. However, no action was taken against Lijanovići and ZD. I. Product. The utility filed lawsuits against these companies only when the Financial Police did its inspection. The Municipal Court in Široki Brijeg ordered the two firms to pay back 280,000 KM plus interest. However, this never happened. According to the records in CIN’s possession, the utility filed a lawsuit against ZD. I. Product for 78,110 KM, of the total debt of 610,000 KM. The Court has not yet ruled, but the chances of the utility eventually collecting even that part of the debt are slim. According to the records of the Central Bank of BiH, the accounts of two firms have been frozen for a while. ZD. I. Product has no property to its name and the Lijanovićs property had been earlier frozen by various creditors. CIN earlier found that the firms connected to the parties in power had been used to not paying electricity. According to a report from the Special Auditor, the utility was collecting payments for just 55 percent of the electricity it was supplying 14 years ago. At the time, the company was controlled by the members of Croatian Democratic Alliance (HDZ). 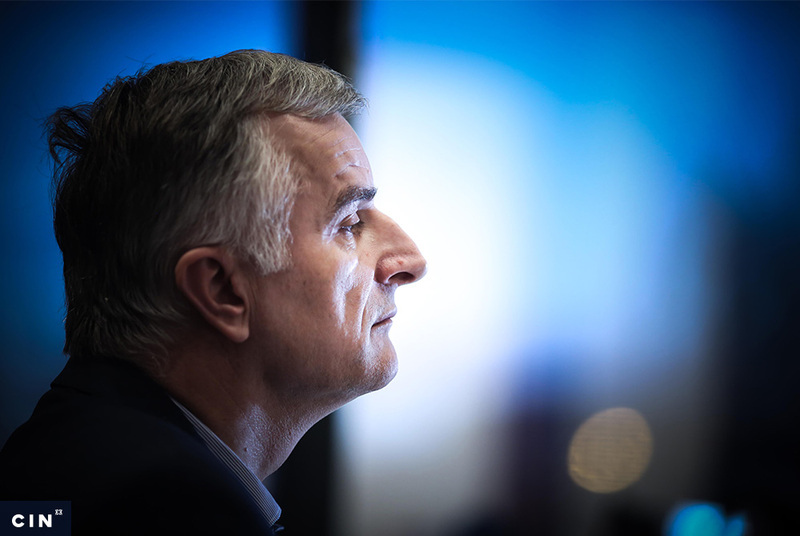 The utility was looking the other way when it came to unpaid bills of companies belonging to the politicians connected with the HDZ BiH and the party’s own debts. In 2001, Soko Company owed 400,000 KM for electricity. The auditors concluded that the firm was privileged in comparison to the other consumers. A part of the debt was incurred during a time when the then vice-president of HDZ was the company’s director general. During the 2001 review of party financing, the same audit found that HDZ’s Mostar HQ had not paid for electricity for three years and that it owed 27,000 KM. After the auditor’s warning, most of the debt was paid back. In their report, auditors said that the party was neither shut off from the grid because of nonpayment nor even warned about a possible shut-off. Every year, the Mostar power utility writes off some debts, without specifically stating in financial statements whose. In the past four years it has written off up to 680,000 KM in debt annually. Utility officials say that write off is a routine procedure after the failure of repeated attempts to collect.